7 pages of text area, but needs space dedicated to text of typical single layer label. 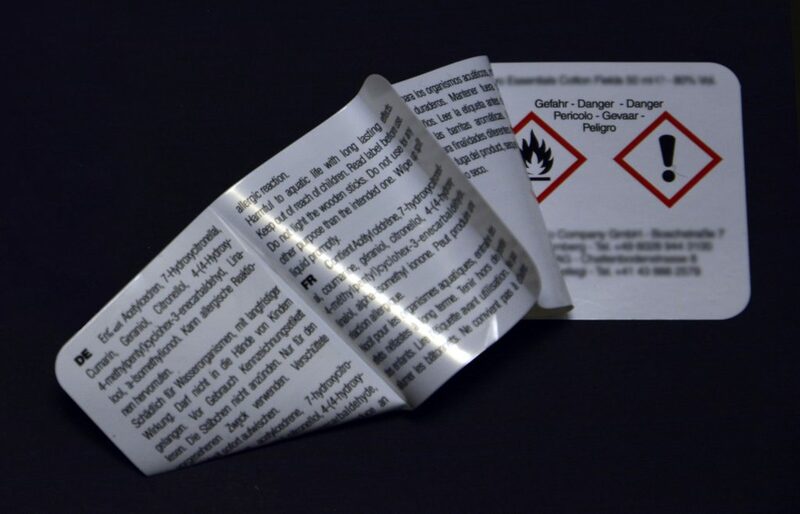 State-of-the-art technology allows the top and the middle self-adhesive layer to be peeled off from the bottom layer and then re-applied once all the information has been read. The peel off and re-application steps can be repeated multiple times without compromising the properties or the aesthetics of the label. Brake to prevent layers separation entirely from each other is possible between left and right or always on one side.